When you have the need for a top quality Television service, you’ve found your solution. Our experienced team will give you everything you need from installation to repair. Providing you with everything that you need to make sure your television needs are met and exceeded every time you choose us. You’re never going to have to worry about giving up quality for affordability. Let us take care of all of your connectivity needs, we work with the top providers to insure you get the best service for the best price. EVOLVE is the only in-room entertainment solution personalized by guests and powered by their content. Watch live TV, discover content easily through an interactive program guide, stream with Chromecast built-in, and bring all your favorite music, movies, apps, and games. 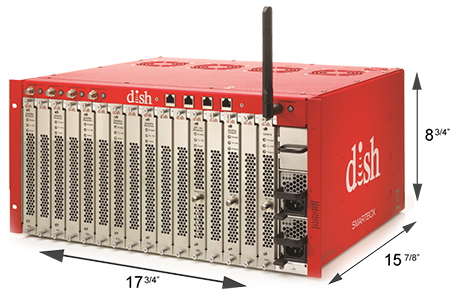 EVOLVE integrates third-party devices with DISH property TV solutions, allowing guests to access apps and stream personalized content from their smart devices to the hotel TV. Entertainment They’ll Never Forget. Brought to you by DISH. Only the Best for Your Guests is not just a slogan. At lodgeVision we truly believe that the experience we can deliver for your clients is simply the best.... best in picture quality, best in technology, and best in customer satisfaction.